They say a week is a long time in politics but it appears even more so in this year’s Allianz League as the atmosphere among the players, management and loyal supporters today juxtaposed sharply with that of last Sunday’s following today’s superb win over a hotly fancied Donegal side. But to be honest, it was only those who don’t follow this amazing side closely that hotly tipped Donegal as time and again Tipperary have, not merely upset, but absolutely bulldozed the apple cart out of their way. And make no mistake about it, today’s win was thoroughly deserved. 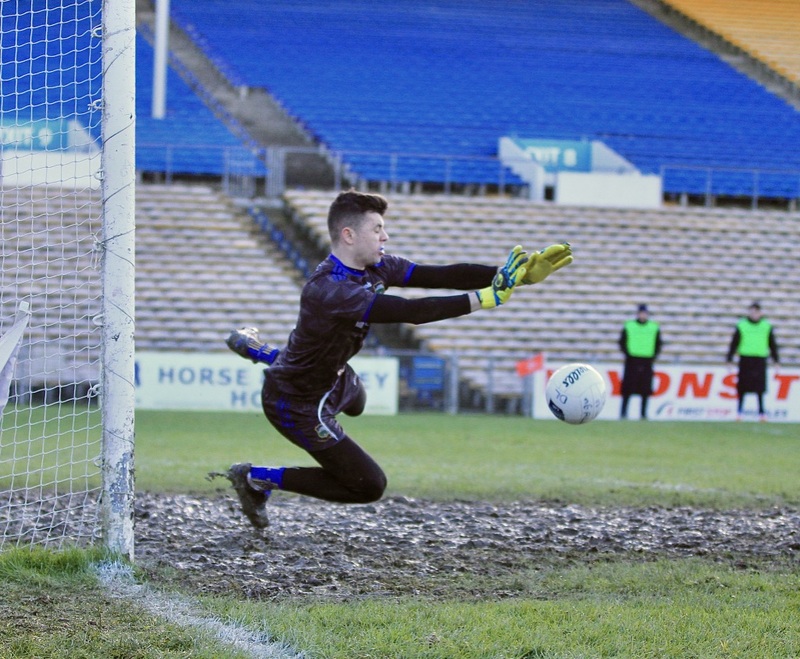 Michael O’Reilly, deputising for the injured Evan Comerford in goal, played like a veteran and made a stunning first-half penalty save that gave the Premier men great heart heading in for the half-time break. The men in front of him played the second half in such a miserly manner, limiting Donegal to just three points, that even Scrooge himself would have winced in embarrassment. Liam Casey exploded into the game in the frantic final minutes scoring 1-1 to ensure victory while Steven O’Brien gave one of his finest ever performances in the blue and gold. The work rate of the forwards was a joy to behold as time and again they forced Donegal into rushed clearances and coughing up possession while taking their chances when they arose. 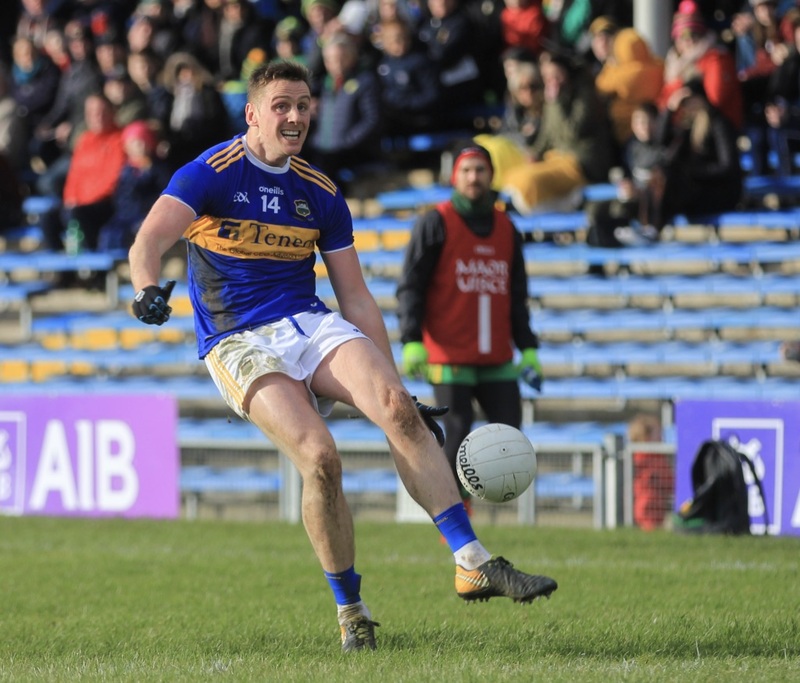 Tipperary entered the game missing a large number of regulars and today’s performances by their replacements will give Liam Kearns the kind of headache all managers dream about when it comes to selecting his starting fifteen come the championship. The returning players now know that they’ll have to work extremely hard upon their return to force their way back into the team. Donegal, playing with a strong wind at their backs, were worth their three-point lead at the interval as they led 0-10 to 1-3. The Premier got off to the ideal start as Jack Kennedy found Steven O’Brien who powered his way through the centre to blast home a goal after only two minutes. 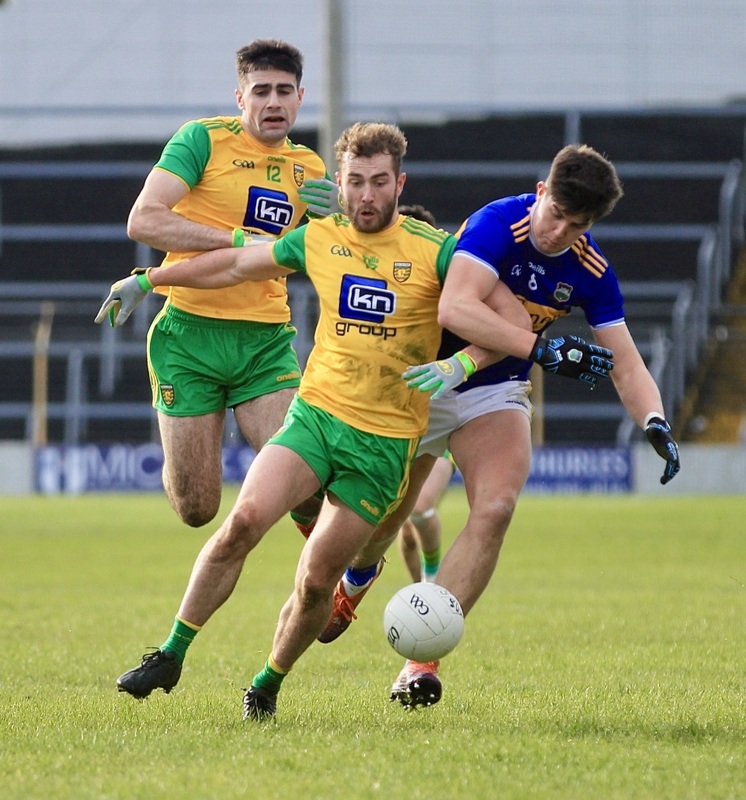 However, Donegal did not panic and found themselves level after Oisin Gallen, Ciaran Thompson and Michael Langan all pointed before Niall O’Donnell put the visitors ahead. Langan and Thompson then exchanged points with captain Conor Sweeney and the evergreen Philip Austin to leave the sides level 1-3 to 0-6. Donegal opened the lead to 0-9 to 1-4 approaching half-time when John Meagher appeared to be harshly blown up for a penalty. Jamie Brennan stepped up and could not find a way past the brilliant Michael O’Reilly who dived right making a terrific save. 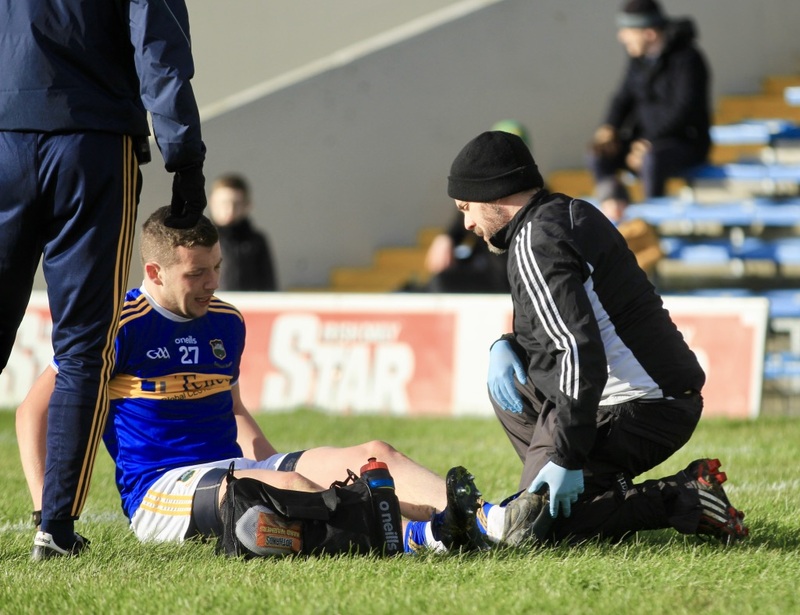 This moment certainly lifted the Tipperary players and the shouts of encouragement from the players in blue and gold echoed around the stadium. Donegal did add another point to leave it 0-10 to 1-4 at the break. 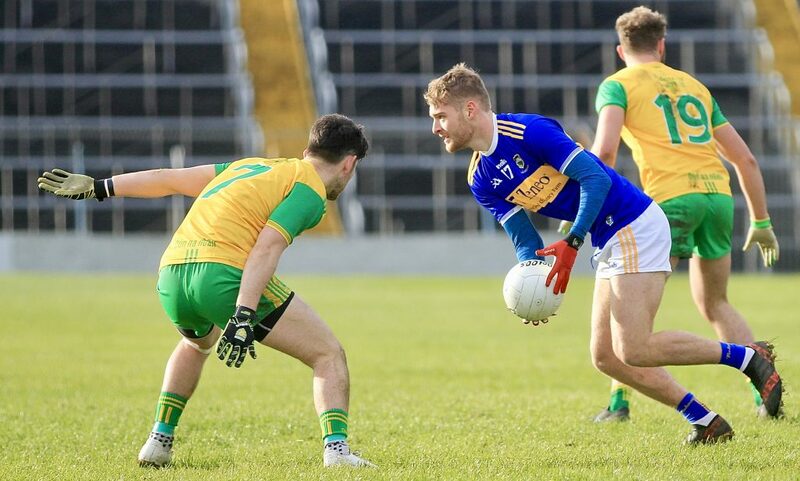 The second half started slowly as Donegal held possession and tried to run at the Tipperary backs who were defending the Killinan End however time and again they were turned away by a defence determined not to cede ground. It took fifteen minutes for the second period’s opening scored when Langan pointed a Donegal free. 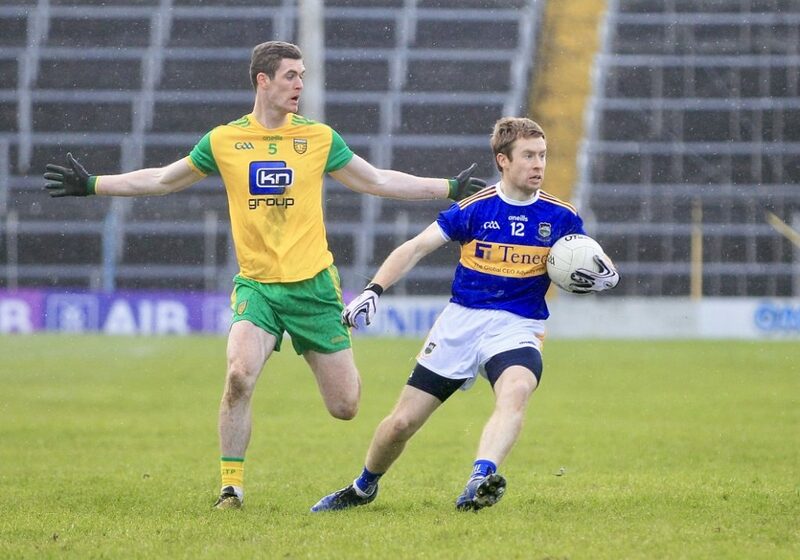 Tipperary were awarded a free minutes later on the 45 which Liam McGrath took. His effort dropped short and Shaun Patton in the Donegal goal called his ball but one of the backs clearly did not hear it and ended up deflecting it past the helpless net minder. The sides exchanged two points each through Liam Boland and Brian Fox for Tipp and Gallen and Thompson for Donegal. 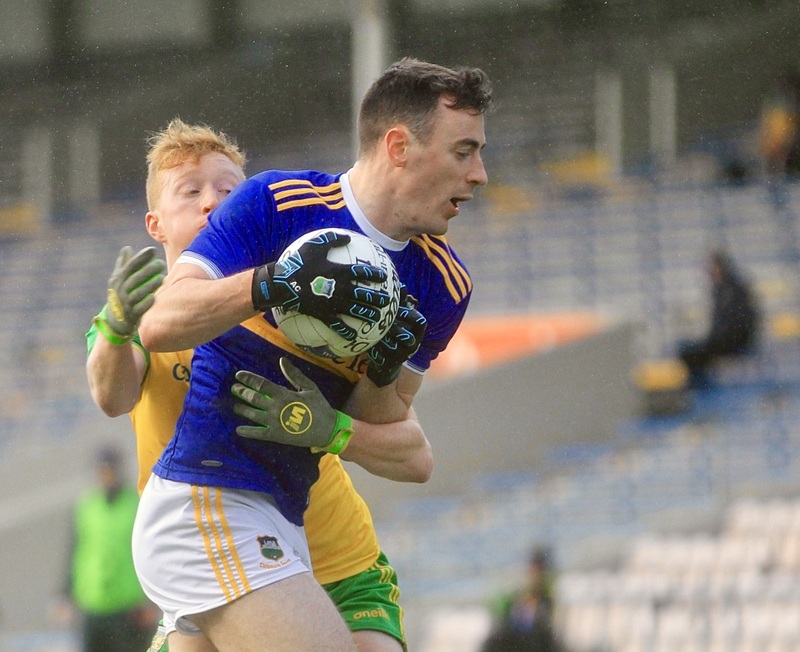 Liam McGrath intercepted a Donegal clearance and set up Liam Casey for Tipperary’s third goal of the game before three quick-fire points from Casey, Sweeney and O’Brien ensured that Tipperary would be celebrating their first win of 2019. Next up for Tipperary is a trip to Ulster in two weeks-time as Armagh will provide the opposition in the Athletics Grounds. Tipperary: Michael O’Reilly; Alan Campbell, John Meagher, Emmett Moloney; Kevin Fahey, Dáire Brennan, Jimmy Feehan; Steven O’Brien (1-01), Jack Kennedy; Philip Austin (0-02), Liam Casey (1-01), Brian Fox (0-02); Kevin O’Halloran, Conor Sweeney (0-02, 0-01f), Liam McGrath (1-00, 1-00f). Substitutes: Liam Boland (0-01) for O’Halloran (51), Colm O’Shaughnessy for Feehan (58), Conal Kennedy for Jack Kennedy (66), Dan O’Meara for Austin (74), Paddy Codd for Fahey (75). Donegal: Shaun Patton; Eoghan Bán Gallagher, Brendan McCole, Tony McCleneghan; Stephen McMenamin, Caolan Ward, Ryan McHugh; Hugh McFadden, Jason McGee; Ciaran Thompson (0-04, 0-02, 0-01sl), Caolan McGonagle, Michael Langan (0-03, 0-01f); Niall O’Donnell (0-01), Jamie Brennan (0-02), Oisín Gallen (0-03, 0-01f). Substitutes: Leo McLoone for McGee (45), Martin McElhinney for Gallen (65), Paul Brennan for McMenamin (69). Today’s win for our footballers has attracted huge goodwill across the Premier county but unfortunately goodwill won’t help the players become the best they can be. 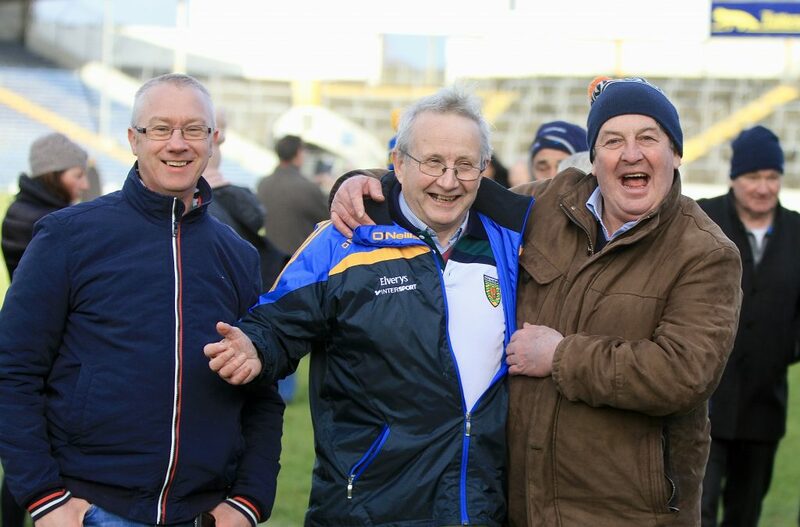 We need you to play your part by joining the Friends of Tipperary Football. You can do that by joining the Friends online here or by contacting any of our co-ordinators. Congratulations to all players who represented their divisions recently and a special thank you to all the parents and guardians who drove the boys to trials and training and to all the mentors who volunteered their time to coach the boys. Hard luck to the Tipperary LGFA side who were defeated by Dublin today in Ardfinnan 6-9 to 2-8. It was always going to be difficult for the team going up against the All-Ireland champions however they gave a great account of themselves against one of the greatest ever LGFA teams. We also congratulate Aisling McCarthy who made her debut last night for the Western Bulldogs scoring a goal in the process showing the Cahir superstar is as much at home playing Australian Rules as she is with Gaelic football. 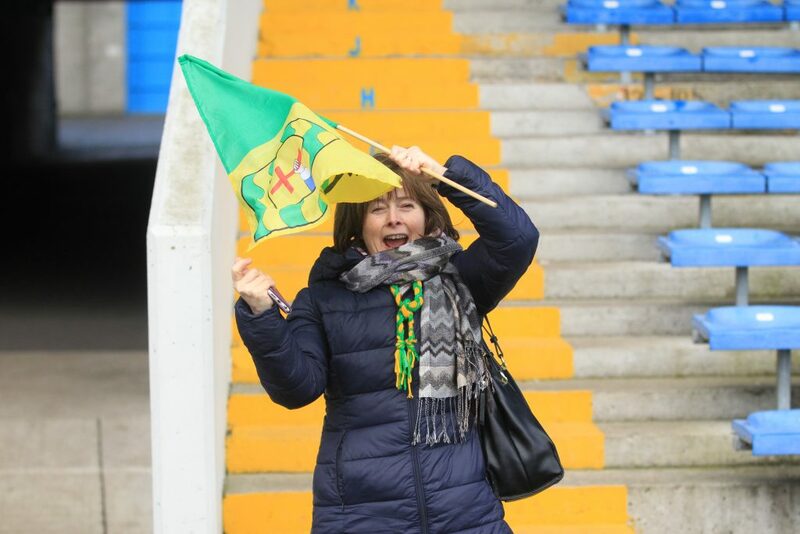 Mary Hanly from Glasgow but now based in Solohead, in Semple Stadium today supporting Donegal where her family originated from.